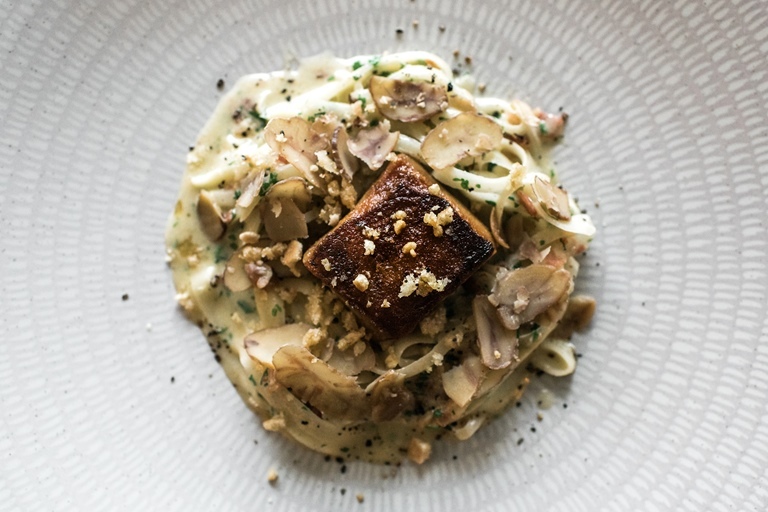 A low-carb alternative to a traditional pasta carbonara, Geoffrey Smeddle replaces the pasta with ribbons of the root vegetable salsify and tops the dish with a pressed confit pork cheek and some crunchy pork crackling. Curing and cooking the confit pork does take time, but all of the other elements can also be prepared ahead so it’s easy to assemble on the day of serving. Any leftover curing mixture can be kept in an airtight container and used to add a kick to soups, stews and marinades.